We help the small business owner navigate the complicated financing world, so you can focus on building your business. Our advisors understand the importance of a strong personal credit file in order to obtain the best financing for your business. We will take the time to review, evaluate, and provide feedback on your personal credit profile with regards to how it compares to our lenders requirements. All of our advisors are Certified FICO Professionals and understand how to ensure that your credit file is preserved and/or improved while we help you obtain the capital you desire. If you do not qualify for any of our unsecured funding programs, our advisors can provide you with a step-by-step strategy to help you qualify for the financing you desire. 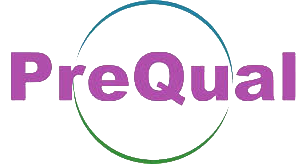 Click on the Pre Qual logo to get started. Everything you need in the print world with one stop. Need a logo, shirts, banners or virtually anything that will get your name out to the world? Printed Imagination can help. We are a fabric and apparel Print Shop using: Embroidery, Direct to Garment Printing, Screen Printing, Heat Transfer and Embellishments. We also make custom banners and decals. The Team: Juan, Jesse, Xavier, Todd, Donna. Juan handles the everyday from customer service to consultation and oversees all areas of design and production.He is very proud to have one of the most experienced teams for our print shop. Todd is our graphic designer with over 25 years of experience. His designs can be seen all up and down the Arkansas Valley and Front Range, California, New Mexico and Nevada. Jesse is our in-house embroidery specialist. Xavier works on designs, screen printing, heat press and direct to garment printing. Donna has over 30 years of experience digitizing logos and artwork for embroidery. Real Deals Magazine is direct mailed to 100% of the addresses in our Southeast Colorado coverage area. That is over 23,000 addresses every quarter! We are a high-quality, full-color publication,printed on glossy paper. Real Deals Magazine is GUARANTEED to capture your market and buyers attention! Promote TOP OF MIND awareness! Even advertisers that choose not to have a coupon get great response! Real Deals Magazine is your #1 advertising resource! And we are available online too. And remember, our professional photographer & graphic design services are always FREE! Media Geek will get your PC up and running. We can repair your desktop computer, your all-in-one PC even all brands of Laptops. We have the equipment and the experience to track and repair your problem. We provide all possible options for the least expensive and best solutions. We even explain in a non-geek way what the problem was and what to look out for in the future. It makes you a member of the construction gang, not the wrecking crew. Chamber sends possible employees or customers your way when inquired. The Chamber receives thousands of requests for names of businesses and establishments. Only Lamar Chamber members are referred. It helps improve your community. It makes money for you - as Lamar grows and prospers, so does your business. Every business firm, business and professional person, in fact every citizen should support the local Chamber. Each business is successful because of its customers. The Chamber creates more customers for every business and professional firm in the community. The Chamber works for better community events, etc., which are enjoyed by every citizen. The Chamber has a minimum membership fee for voting and membership privileges. Regular membership in the Lamar Chamber shall be any "business" that pays full membership dues as set by the Board of Directors. Associate membership in the Lamar Chamber shall be any community service oriented association or individual that pays half of the regular membership as set by the board. An associate member will not be able to have voting privileges, hold an office. Lamar Partnership Inc. is a Colorado Main Street Community managed and funded by the City. It is responsible for providing economic development opportunities within the context of historic reservation to traditional downtowns. Lamar Partnership, Inc. is a volunteer organization formed to strengthen and enhance the economic, social and aesthetic attributes of our community through that active participation of business leaders, elected officials, property owners, community organizations and residents. Our general purpose is to encourage economic development and sustainable vitality of Lamar using the tools of historic preservation and preservation of community character in ways appropriate to today’s marketplace. Because every woman deserves a little “bling”! Designed and handcrafted by Heather Morris.